Truck maker Iveco and construction material company Boral to create a new truck designed and purpose built to save time in road building and surfacing. 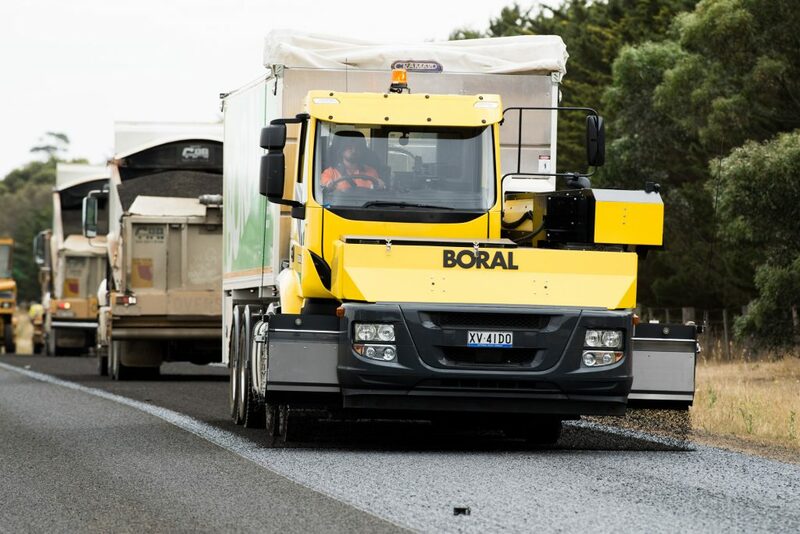 Long an innovator in the machinery it uses and develops, Boral has again worked to come up with a truck that will save time and increase safety specifically in this case to “revolutionise the method of spray seal road construction in Australia”. This has led to the creation of the Forward Moving Aggregate Spreader (FMAS), which Boral says is a new road surfacing truck concept. The FMAS truck is based on Iveco’s Stralis AD 8×4 and it is all about making a safer situation for workers, increasing product quality and helping to reduce costs to road agencies, according to Boral. In the past the process of spreading aggregate involved working with reversing trucks through an elevated tipper body, with an increased safety risks for workers. Instead the FMAS disperses aggregate from the front of the truck via a conveyor belt and spreader box and because it can be done without the need for a tipper to be used in an elevated situation it reduces potential safety and damage situations such as contacting power lines, trees and bridges. 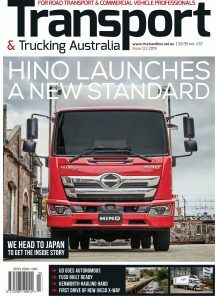 Iveco Trucks Australia MD Bruce Healy says the invention reflects the truck maker’s long-term connection to the concrete and construction industry. “Thank you to Boral for the opportunity,” Healy says at the launch, noting the concept was many months in the making. “For Iveco, we have a long history in the concrete industry. Our ACCO product has been a key part of the industry for many a long year – there wouldn’t be many companies without an ACCO in their fleet. “We have had an association with Boral for a long period of time. It may surprise people to realise that it goes back nearly 50 years. We’re very proud of that association. “Boral saw us in 2017 to share their plans to develop the FMAS. “As a local manufacturer with plenty of engineering experience in Melbourne, we were able to identify the right product and platform for this program: the Stralis AD 8×4. “And I have to say Boral has done a wonderful job in bringing this vehicle to meet new industry requirements. He adds that this vehicle marks another step in Iveco’s local manufacturing history. Boral national asset manager – asphalt Stuart Partridge says the company designed and developed a the FMAS following a call to industry by VicRoads as a result of a serious accident involving the state roads authority’s worker some years ago. “Surfacing roads has remained one of the most potentially challenging tasks faced by construction crews because of the nature of the material being used and the way that material is applied,” Partridge says. Boral worked with concreted agitator makers and Mack trucks to come up with a lighter and lower centre of gravity concrete truck several years ago to reduce the risk of rollovers in an industry that has been blighted with such accidents over the years.